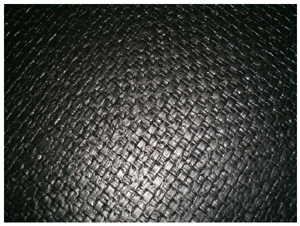 Slade’s self-forming gasket, the Pyro-Tex Joint Sealant, is made from patented graphite-foil encapsulated carbon-fiber reinforcement yarns. This self-forming gasket when in place is compressed to fit snugly. The Pyro-Tex Joint Sealant HP (high pressure) is made from the same patented graphite-foil encapsulated stainless-steel foil reinforcement yarns as our sheet. Available in 25 and 50 foot spools in various configurations, shapes, and thicknesses.